The forces of good have defeated evil this time to make Rae Sremmurd’s “Black Beatles” the No. 1 song on the country, dethroning the infective Chainsmokers. 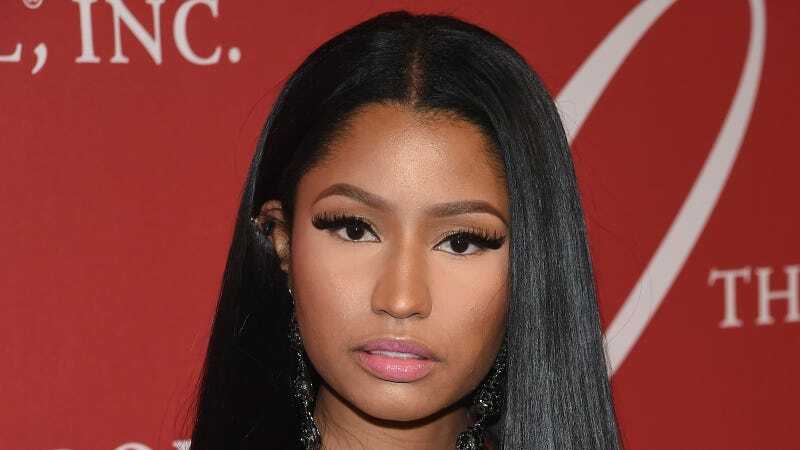 Nicki Minaj used to moment to release her remix, “Black Barbies,” which has a firm mix of trash talking, politics and superlatives. The point is that despite our orange-elect’s attempts to rid the country of enterprising immigrants, Nicki will stay here and get her money. She also reaffirms that she’s a mother with many sons. Both the original (which got a boost thanks to everybody using it in their mannequin challenges, including Steph Curry) and the remix are necessary.